When choosing a new door there are a number of factors to consider: appliocation, budget and esthetics. With the number of options available it can be confusing to select a new door, which is why we offer free on-site consultations to evaluate your door needs and typical use, as well as discussing your budget and style requirements. Regardless of which door you choose, you can feel confident buying from Abe's Door as we only sell high-quality products that have stood the test of time and our Canadian winters! 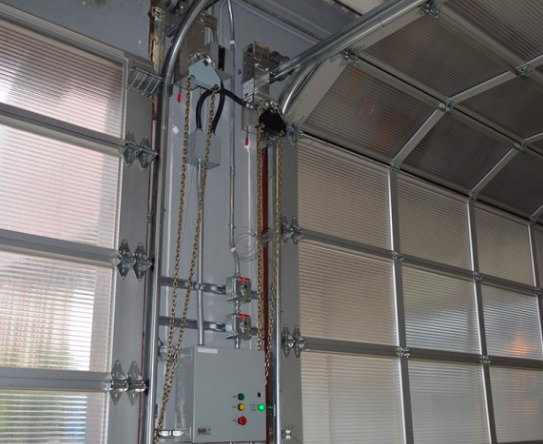 Explore our overhead door featured installations and product showcase. We work closely with our customers to match them with a door that has the right blend of style and performance within their budget. View our featured installations for inspiration. Browse through our product catalogue of overhead doors, operators and safety equipment. We have a wide range of doors that can be customized based on your functional and aesthetic needs.